Demanding production facility environments are hard on conventional bearings, which can run very hot, very quickly, restricting load factors and increasing wear. An innovative new bearing from Timken has been designed especially to cope with these environments and can significantly outperform conventional solutions. That’s the message from Brammer, the leading pan-European distributor of industrial maintenance, repair and overhaul (MRO) products and services. The design and advantages of this specialist bearing is the latest topic demonstrated by Brammer’s ‘Quick Tips’ Video series; succinct visual aids presented by product group specialists and industry experts, to explain key issues and suggest practical advice for customers. 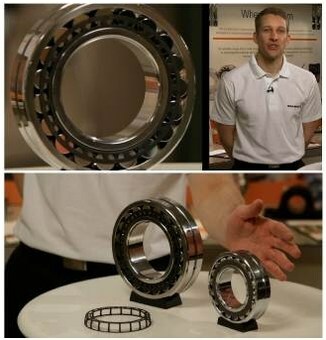 The latest Quick Tips video on the Hi-Performance Spherical Roller Bearing is now available online at www.brammertips.com. Further information on the range of products and services available from Brammer can be found at the website www.brammer.biz or by calling 08447 36 36 65 in the UK or 0181 77 6141in Ireland.